Hello from sunny (very, very sunny) North Carolina! Our family has moved and is now living in the charming town of Davidson, North Carolina. We’re enjoying our new air conditioning, as the heat here is intense in July. I feel like I’ve been writing the same report for months now, but June felt absolutely crazy-pants chaotic. I had to take it one day at a time. We had the end of school, the boys’ birthdays, the start of a new graduate class for my master’s, good-bye parties, a big work conference Mr. ThreeYear and I both needed to attend the week of the move, plus all the regular packing and moving details involved with a move. We spent $691.78 for the month, well under budget, in nineteen separate trips to the store. We tried to eat up all the food in our fridge this month, but did a lot of eating out as well. 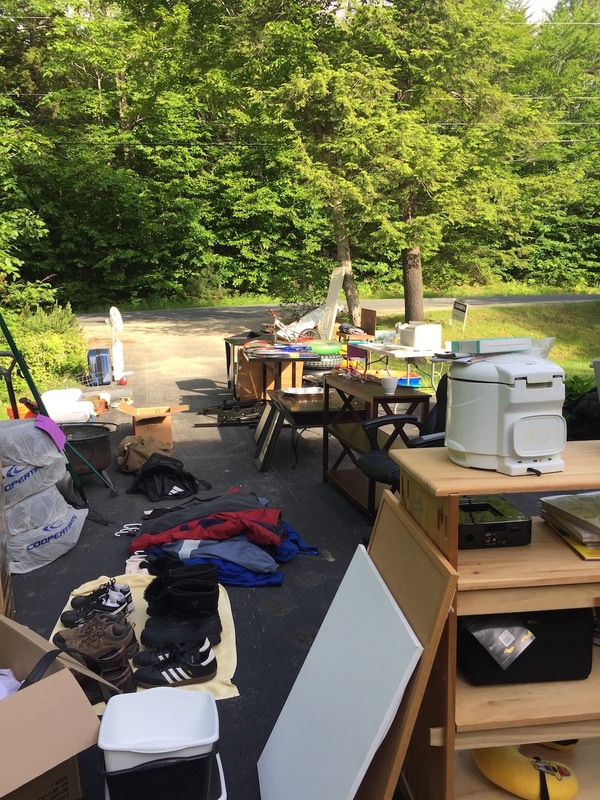 Our spectacularly unsuccessful yard sale in late June (small towns aren’t great for yard sales, we learned).